Apparently, Julie Thompson is a session musician - that is, someone who's music career is spent joining other artists to make their songs sound great. Regardless, I still managed to find her on YouTube, and I've been enjoying her music all day. And of course, you can find her performing with other artists, which is impressive too. Surprisingly, Julie doesn't have much of a web presence. No Wikipedia page, and what may be an old website (with the title tag set to index3 - oh Julie, you deserve so much more). She does have a MySpace Page, but alas, it looks and feels like a MySpace page which isn't a good thing. At least she got a new fan today. My brother's check engine light came on in his car a couple days ago. This, of course, could mean just about anything from a loose gas cap, to an imminent system failure. That one little light sure packs a whole lot of information in it. Of course, a mechanic can for a fee, extract the exact error code that triggered the light to come on. This is annoying because (a) you've got find a mechanic when the light comes on; (b) you've got accept that they'll charge you an exorbitant fee for an activity which takes under 1 minute to perform and (c) you've got to hope that they aren't fibbing to you as to what the trouble codes actually are. Luckily, we've got our buddy Justin who has a code reader and was able to extract the information in just a few seconds. Combine that with Google, and troubleshooting the problem was a breeze. Though, this got me thinking -- why don't I own a code reader? A quick search on Amazon showed that they weren't very expensive. As I talked this over with my brother, it occurred to me that we didn't technically need a code reader at this moment. But, aha! That's the perfect time to buy one. So for $54.99, we officially invested in a Actron CP9410 PocketScan. This little puppy will read and reset the diagnostic code from any car since 1996. Best of all, it even rates the codes it finds on a scale from harmless to urgent. Perfect for a non-car geek like myself. We gave it a try tonight on my brother's car (which is still having it's check engine light come on). It worked flawlessly. Not knowing anything about code readers, it's really hard to say that this one is better than what's out there. But, when you consider the rating system I mentioned, as well as the ability to plug the device into your PC to update it with new codes - it strikes me as pretty dang sophisticated. Especially for $50. I should probably have one of these in the glove compartment of both our cars. It only needs to come in handy once during the life time of the car to make it more than a worth while purchase. And even if it gets used only to confirm what the mechanic is going to tell me, it's still a winner. A client of mine contacted me about an especially odd problem his site was having: regardless of the settings in IE 8, the page always rendered using the IE 7 engine (confirmed by using the F12 tools). An HTML document convincing IE 8 to use a different rendering engine? That doesn't seem like something I could do, even if I wanted to. And reviewing his document further, there was no mysterious meta tag requesting this behavior. After some head scratching, I finally viewed the Generated Source of the page. Sure enough, the first line of code was some funky meta tag, which said something about IE=7.0000. Yet, this meta tag was nowhere to be found in the document itself. And of course, this functionality is widely known. I love mysteries like these: they seem completely impossible, until you untangle them, and then they are obvious. Apparently I missed celebrating Towel Day - a day of tribute to Douglas Adams (though I do think I deserve points for blogging recently about towels, of all topics). Adams, it goes without saying was an amazing author with a brilliant sense of humor. What I didn't realize, though, was his interest in technology. The Telegraph had a wonderful article that talks about this. Specifically, the article quotes from Adams' work: How to Stop Worrying and Learn to Love the Internet. This is one remarkable article, and you should stop what you are doing right now and go read it. It'll be worth it. And there you have it - a recipe that works for Facebook, TV, the calculator or just about any bit of technology. Next time I hear someone ranting about how technology X is going to be the downfall of our society, I'm going to calmly ask them to read this article and get back to me. If you can't be actually backpacking, the next best thing is reading about it. Heck, given the fact that when you're reading about it you're not exhausted, freezing and schleping up endless switchbacks, reading about life on the trail may even be more fun. If you're not yet sold on lightweight backpacking, then this site serves as excellent propaganda. If you are sold, I find the stories to be especially interesting sources for gear ideas. Have any outdoor sites to recommend? I'd love to hear about them - drop me your suggestions in the comments. The most sane way to develop CSS based websites is to start off by importing a reset CSS file. That way, browser defaults won't show up as random inconsistencies. Among the key tags to reset are li, ul and ol as Firefox and IE's formatting of these guys is painfully different. Today, though, I had a site that was rendering legacy content - which expected ul tags to produce actual bullets. At the same time, the site itself was relying on the CSS reset script to render correctly. I scratched my head over this, till I realized the solution: I just needed to undo the reset for the div tag that contains the legacy content. Dav Glass offers up the clean solution to do exactly this. (And so does Yahoo, apparently). The other day, Shira tells me I'm in charge of getting the trees trimmed on our property. Besides getting overgrown, some are beginning to rub against the house. Chafing is always bad, no? For about .02 seconds I consider doing the job myself. But then I decide I'd like to keep all my digits, and that this is way out of my league. I really want to add this new task to the bottom of my TODO list and just hope it goes away. But given the tone Shira used to assign this job to me, I know that's not going to happen. So I do a search on Craiglist and up pops John Celements, Tree Expert. I'm impressed. I drop him an e-mail on a Saturday night. Within a few hours, he's gotten back to me and is ready to come by on Sunday for the estimate. I'm even more impressed. He comes by for the estimate, and I take him through what I'm looking to have done. He totally gets it, gives me a fair price, and we pick a date for it to happen. The date gets rained out, but he contacts me via cell phone with plenty of lead time so I know what's going on. A new date is picked. I continue to be impressed. As luck would have it, the date we pick is one where I'm not working from home. He comes by, does the work, and leaves the place absolutely immaculate. You'd have no idea anyone was there, except, now the trees look just like I hoped they would. The whole thing happened so fast, and so smoothly, I didn't even have a chance to take Before photos. Now that's impressive. So, if you need a tree guy, who's honest, reliable, and appears to take on jobs of any size - I've got your man. Here's a few After photos - trust me, this is an improvement. Best of all, no more chafing. I hate chafing. After our last backpacking trip, I promised myself I'd bring along a pack towel. I always carry a handkerchief, but on the trail, it got saturated in a hurry. My first thought was that I'd bite the bullet and get a MSR PackTowl. Sure, it was probably overpriced for what I was getting, but it looked like it would do the trick nicely. While browsing through REI, though, I came across the Light Load towel - a tiny packed disk of a thing which cost a few bucks and made big promises (Machine washable, only .6 oz, a "survival tool" and so on). For a $1.95, it was hard not to give it a shot. After unpacking it, the towel remained in it's super tiny form. I then ran it under water, and sure enough it started to expand. What do you know? It grew into a tiny little piece of cloth as promised! To soften it up, they suggest machine washing it, so that's what I've done (and it works). The folks at Amazon give it mixed reviews, while those at REI rave about it. So really, what's the deal? The deal is, that is probably more portable bandana, than towel (though, they do make a beach towel size I've yet to try). I'm sold. I'm putting one in my regular travel bag, one in our diaper bag, and one in my backpacking gear for next trip. I'm even tempted to give the beach towel a try. Need a laugh this Friday? Check out I HATE MY PARENTS. It's proof that Parents can make just as bad decisions as their children. Seriously, check it out and tell me you don't just giggle a little bit? Update: Two comments: (1) make sure you follow this link to browse the archives. That way, you'll see more than just a few days worth. (2) I don't hate my parents. I have to say, I liked it. And here's the part that really surprised me: according to the author it was created using the PlayStation Game MTV Music Generator (aka PlayStation Music 2000). That is, it wasn't a professional musician who created this song, but someone playing a video game. If your kids aren't learning valuable lessons from computers, don't blame the computer (or the industry) -- it certainly has the potential for good. You just have to bring it out. Turning on SEFs is easy enough. Though, figuring out how to access content, and control the SEF in use, was surprisingly tricky. Below is what I've pieced together as to how this all works - which means I could be way off base here. But, from poking around, this is what I've figured out. I got hung up early in the process -- suppose I just finished authoring the About Us page for the site. What's the SEF url to this page? It's a simple question, but I was stumped on it for longer than I'd like to admit. I tried guessing at this, and no matter what I tried, I came up with a 404 URL. Finally, Jomo over at Jomo Design gave me a wonderfully simple solution to this problem. To find the URL for a piece of content, just search for it using the Joomla's built in search function. The result will contain the URL to the content item. That's kinda-sorta a SEF URL in that text is locate in there -- but what the heck is up with component/content/article? And why are the IDs prepended to the category and content name? If this was Joomla's idea of a SEF URL, then we were going to have serious issues. As I poked around the site further, I realized that some content items did actually have clean SEF URLs. And then I realized why -- items included in a menu had their URL controlled by the alias on the menu. Nested menus allowed for nested URLs. This menu based URL approach actually makes a fair amount of sense, as menus in Joomla are way more than a navigational convenience. They are used to drive the functionality of a particularly rendered page. Making them them the controller of SEF URLs was actually a good thing. The URL addressing scheme I found when I searched for content was probably never intended to be exposed to the user. However, you don't want to add the results page to a menu that people can directly navigate to. I didn't find a Joomla recommendation to this problem -- though I did find a solution. The answer? Create a new menu, and add the items there. The new menu, created out of the ether, won't be linked to the URL in any way. However, that doesn't diminish its ability to function as a SEF entry point. In my case, I created a menu named direct-access, and linked all the pages that I wanted to have SEF URLs, but didn't want them to appear to users to browse through. Problem Solved or Point Missed? Part of me wonders if I'm totally missing the point of Joomla SEF URLs and I've invented a work around to a problem that shouldn't exist. But for now, the strategy is working. If you've got a better suggestion -- I'd love to hear it. Think traveling with kids is tricky now, imaging doing it 65 years ago. The Department of Labor was kind enough to publish a guide to exactly this: If your baby must travel in war time (published in 1944). [Ladies:] Limit yourself to one dark dress or suit. Many mothers have found an apron a convenience, one that could be slipped over their dresses when they were caring for their babies. Orange juice and cod-liver oil usually cannot be carried conveniently. There is no harm in letting your baby go without these during the time when you will be traveling. This train is crowded. At every stop more people get on—more and still more. Soldiers and sailors on furloughs, men on business trips, women—young and not so young—and babies, lots of them, mostly small. See, we don't have it so bad now? Next time I have to basically disrobe and empty all of my worldly possessions into a bin in order to pass through a security line, I'm going to try my hardest to think just how good we have it. Oh, and maybe the apron idea isn't such a bad one, after all. Did you know you can dust for finger prints using common cooking ingredients? To dust for fingerprints, sprinkle talcum powder or cornstarch on dark surfaces and cocoa powder on light surfaces (like the outside of a drinking glass) where there are visible prints. You can use a small paint or makeup brush with very soft bristles to gently swipe off the excess powder and leave the print. Use clear tape, sticky side down, to lift the print and then stick it to an opposite-colored paper. What kinds of patterns do you see? If you've got superglue lying around, you can get really fancy and lift prints using fuming. This strikes me a as fun-for-all-ages experiment to try, not to mention an important life hack. You never when these detective skills could come in handy. For some time now, we've been meaning to have our front porch upgraded from lack-luster (dare I say, run down?) wood to something a lot shinier. And luckily, a friend of Shira's connected her to Odd's N' Ed's - a local builder who was perfect for the job. He removed the old wood that was there, and replaced it with ChoiceDek - a composite (read: plastic + wood substitue). I'm told it's very low maintenace, which is a very good thing. It's even on the green side, as the decking is made from plastic bags and such. I find that people tend to love or hate their builders with not much inbetween. With us, as I said, we're totally happy. Ed's operation was efficient, highly detailed oriented and he totally hit (if not exceeded) our expecatations. I don't have a good Before photo handy, but here's how it looks now. Trust me, it's a vast improvement. Time will tell if ChoiceDek was the way to go - but so far, so good. 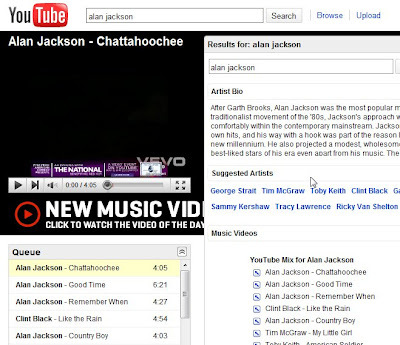 As the videos play, YouTube will offer related videos, which are often related songs and further auto generated disco lists. Often times, I'll just let a Disco list play through, and add songs that especially interest me to my own playlists. Later on, I can play my own Best Of music selections. I remember scoffing at Google's acquisition of YouTube for over a billion dollars - and just about every day, I see more and more, that it may have been a smart move. I'm not sure I see a billion dollars of value, but it's getting there. I've read and enjoyed arm-chair adventures about going to Everest, or backpacking the AT -- but one about raising chickens and growing your own food? Yes, I can said I've read one of those too. 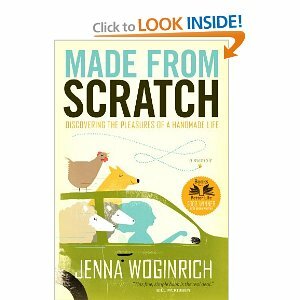 Made from Scratch by Jenna Woginrich is half-memoir, half-howto guide for living a life where you create more of it with your bare hands. Whether it's growing your own food, making your own clothes, or even making your own music - Woginrich takes you on her adventures as she learned these and more skills. I have to admit, part of me wanted to get a little snotty with the author - is keeping chickens really that easy? C'mon. And what about the fact that you're cooking your home made bread while listening to the radio, that's piping in tunes created by folks on the grid? But of course, these thoughts completely miss the point. Woginrich isn't about going to extremes, she's about finding the joy in being self sufficient. It's not about absolutism, it's about finding what works for you and savoring it. Her stories are also packed with disappointment and failed attempts -- that's part of life whenever you try to learn a new skill. And she brings us along for the ride well. The howto aspect of the book is pretty introductory. You won't want to use it as your only reference if you decide to raise Angora Rabbits to make your own clothes from. And Woginrich never implies her book is designed for that purpose. But, as introductions go, it's a solid one. She touches on the fact that if you've got a dream of being more self sufficient in an area - from food, clothing, to having your own dog sled team, there's a way to get there that's attainable for minimal cost - both in terms of money and space. So, I'm not about to run out and start a bee hive. But I'm not about to run out and climb Everest either. For being a collection of fun stories filled with good ups, and powerful downs, and one that expanded my horizons - I'll give the book a 8/10. Woginrich also has a blog she maintains. It's a bit eerie that I just finished reading a book about her life, and can now find out what she did at 2:07pm today. A quick scan of the text, and I've got to say, I like her writing there just as much as I liked it in the book. It's impossible to read it and not feel a little warmer inside. 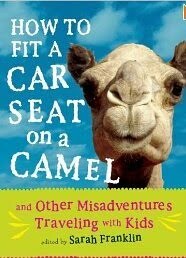 I'm only a few stories into How to Fit a Car Seat On a Camel: And Other Misadventures of Traveling with Kids (thanks to my mother-in-law for the book as a b-day gift!) but I'm already hooked. And I know the exact moment they got me. The first story in the book was funny enough, and the second one, a story of a road trip with parents, baby and toddler started off cute too. It's all pretty cliche: everything starts off great, then baby cries, then toddler gets restless. Nothing too crazy there. The family does a quick McDonalds stop to recharge. 5 miles away from McDonalds the moment happens -- the toddler announces (and I'm paraphrasing here), Mommy, Daddy, you left Mozard back at McDonalds -- we need to go back!. Mind you, Mozard is the toddler's imaginary friend. The parents reason as best they can with the child, but he insists, Mozard was left behind. And you guessed it, the family ends up turning around, going back to McDonalds and picking up Mozard. Who, I suppose, thankfully was still there - though according to the toddler, is quite peeved at being left behind. I absolutely love this story. I love it, because it captures so well a truth I learn more and more as I have adventures in parenting: you can do everything right with a child - make sure they get their nap at the right time, fed just the right way, has just the right toys, and yet, things can still go terribly, horribly, wrong. You're just not in control. I must relearn this lesson at least once a week. One day, I fully get it. What does this have to do with mother's day? Only everything. Consider my own Mom: she did things like take 3 boys on a flight to Israel to meet my Dad who was already there. I think about how tricky that would be with one child, and I cringe at what it must have been like with the three of us. The number of ways that could have been a disaster are too many to count. And yet she did it. And she did it well. Moms need amazing fortitude, because, just being a great Mom isn't enough. They're parenting a moving target. One that can invent new challenges faster than the mile markers on a road trip can whiz by. On this mother's day, I don't just want to say that thanks to my Mom. I also want to apologize for all the times I made her "go back for my imaginary friend." Trust me, it was nothing personal. I love you Mom, thanks for doing such a great job with us! And to all the other Mother's out there -- when I see you struggling with a screaming child at the mall, I get it. It's not you, it's them. Keep up the good fight, eventually they'll get around to writing a blog post like this for you. Today we hit a nats game - not too unusual an occurrence. But, we brought along our little guy - a first for both him and us. He pretty much got the full ballgame experience: ate nachos and fries, stretched during the 7th inning stretch and howled at the other team. I think also created hiw own tradition of sleeping for 4 innings of the game. What can I say, those innings didn't hold his attention. We actually went expecting to just stay an inning or two, but he made it through the whole game (man, did that nap ever help). On the way home, he did start to cry a bit. My first thought: he's a die hard Marlins fan, and was miffed about the loss. But, actually, the answer was much simpler: he was starving. A bottle took away all his woes. The day was on the chilly side. But I'll take some wind over a a 90° sweatfest any day. Here's our little man, asleep in his MobyWrap. I may have looked goofy in it, but it did let him catch over an hour of sleep. How he slept through the crowd noise, I have no idea. At least the wrap was Nats Red, so I could take some pride in that. While surfing a YouTube for music, I stumbled on BestOfHouseAndTrance.blogspot.com. And while I was skeptical at first, I have to say, I'm impressed with the collection of music that's been highlighted. There are some great tunes to be had here. The site's also a good reminder that the threshold for publishing aggregator sites like this could never be lower. Yet, as easy as a site is to setup like this (just combine YouTue and Blogger), they can still provide value real value. Suppose you wanted to capture an incredibly long photography exposure - like say, 6 months. You'd think you'd need some pretty sophisticated gear, right? Turns out, you need little more than a soda can and some black duct tape. The solution? A pin hole camera. It has unlimited depth of field - Everything is in focus, from the pinhole to infinity, giving a bug's eye view of the world. The cameras are virtually indestructible - enabling the camera to go where none other has feared to tread! It can: take time exposures and see beyond our vision. Viewfinder-less photography enables you to just ponder on what something might look like and give it a bash! and most importantly, it can fit in ones mouth (for large mouths only!). Of course, the fun doesn't stop with taking the photos - you've also got develop them. Reading about this brought back some fun memories of hanging out in the dark room in high school. Ahhh, good times. It's definitely fun stuff, and if I ever get the free time - something I hope to get to play with. More and more, we're catching TV online, which means sitting through just a few key commercials. Usually, the commercials are pretty bad and we just suffer through them (am I really going to stop watching a TV show to check out the new Lexus?). Occasionally, like the Bud Light Golden Wheat commercials, they are entertaining. But I can't say that they've every swayed me to actually buy anything or take any action. Some time back, Clorox was running commercials that highlighted the many uses of its bleach. While I thought this information mildy helpful, I didn't do anything about it. Then a few days ago, our diaper champ really started to smell. Rather than head off to the store to find some fancy schmancy cleaner, I recalled the Clorox commercial and how it mentioned disinfecting nursery gear. Bleach has a reputation for being powerful stuff, and given the odor coming from our diaper pail, it was just what we needed. So the advertising campaign worked. I'm impressed. Maybe the rule is: when in doubt, educate? Or at least try to connect with Real problems I have (needing a new Lexus isn't one of them...). Kinda had this idea of a super country par 3/4 course in my head for a while now, and it’s finally going to seed, or should I say sand. Only 3 clubs allowed, I prefer my 7 – 9 – Sand combination. Players walk to where they think their ball landed, drop a club if not there and give a 10 second count for the search. If not found, a ball is dropped at the club and play continues. Each player will have 20 balls to start, I’ve always come back with about 10 so this is plenty. As you can see from the photo, there ain’t gonna be any putting, just chip into the sand for intermediate play or into the center ring for a stroke reduction. The photo shows a post with what appears to be a hula-hoop around it. If I'm reading this description right, Bob turned a chunk of his ranch into a golf course by combining some hula-hoops and some inventive rules. How cool is that?! I think it's a wonderfully clever solution. What an excellent case study for the Toilet Paper Entrepreneur philosophy. It's so easy to throw up your hands and say something can't be done because you don't have the resources. That's just an invitation to get creative. We needed to replace one of our e-mail viewing, web surfing, DVD watching, laptops, and decided to do so with a Toshiba Satellite A505-S6005 from Best Buy. The A505 seemed to be a good balance of hardware (16" display, 12 cell battery, etc.) and price ($670 or so), and I've got to say, I'm not disappointed. There's a lot to like about A505. It's got a gorgeous screen, spacious keyboard with number pad, perfectly acceptable sound, and the usual USB and SD card ports. As I mentioned, the is the larger 12 cell one, which promises 5+ hours of life. While I haven't done an accurate test yet, the battery easily survived a DVD watching, a couple of shows, and some web surfing without requiring a recharge. The price is also quite a pro, when you consider you get 4Gig of ram and a half-a-terabyte of hard drive space for under $700. The main con is the size of the device. It's definitely on the chunky side. Almost not attempt has been made to make it compact or thin. It'll function on your lap, and you can schlep it to Starbucks to check your e-mail. But if you're planning lots of travel, this isn't the laptop for you. I could also do without the glossy finish on the keyboard. I guess I'm used to it now, but initially, it was a real pain. All in all, I'm impressed. Given the cost of the A505, it does seem to live up to its promise of being a general purpose laptop. Wait a minute - that was both funny and intellectually clever. And it didn't bash Obama. What the heck? Again, timely, funny, clever and intellectually right on - in other words, a great political cartoon. Could it be, there's a bright spot in the Examiner after all? 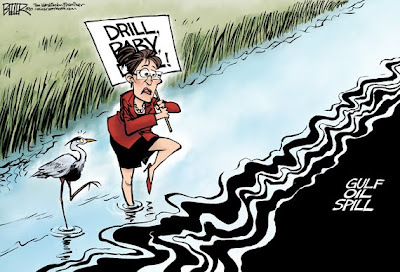 Does Nate have to keep drawing toons bashing Palin or the Republicans for me to be impressed with him? Of course not. 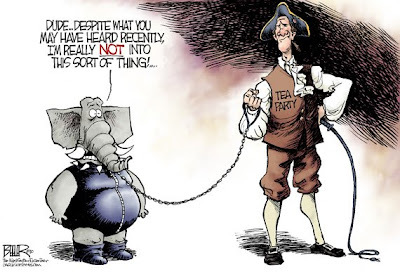 He just needs to be doing what political cartoonists have always done - highlight issues in only a way that they can. Think I can call up the Washington Examiner and ask to have my "subscription" changed so that they only deliver the editorial cartoon? 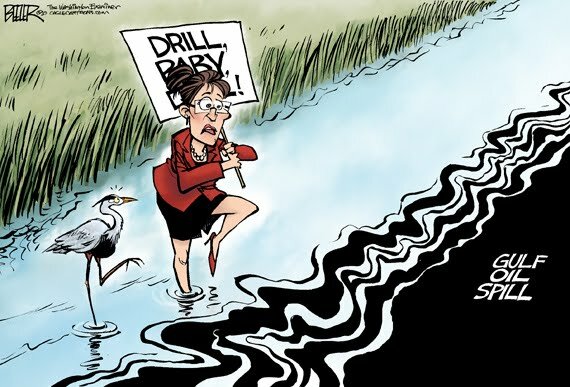 Oh, and if you do need your fix of Palin political cartoons, for some reason, there's a huge collection here. Over the weekend we watched Passengers - a "psychological thriller" from way back in 2008. I can't recall a movie that's gotten in my head as much as this one, so I'm going to try to blog it out. The movie had the fairly unusual quality of keeping both Shira and my interest complete piqued, until the last minute, where we were both totally unimpressed. That's the twist? we thought?! Whatever..
Shira promptly forgot about the movie and moved on. I, on the other hand, have been rolling the movie over in my head, and am warming to it. I'm thinking this is a movie that's probably meant to be watched twice - once through in the context of not knowing the twist, and again, once you've seen it through. Then, my guess, the nuance really shows itself. Otherwise, the movie is little more than a journey that slowly marches towards the big revelation at the end (with the viewer, just along for the ride). The double viewing concept means that this isn't a typical movie - and I'll give it credit for that. It wanted to play around with some whacky ideas, and I'll give it credit for that too. There - I've decided I've liked it. So, if you want to see a film that doesn't follow the typical rules, I'd give it a watch. It's that time again -- time to hit Home Depot and buy whatever plants look pretty, and put them in the ground in whatever way seems reasonable. It's Trial & Error Gardening time! Is it the most effective way to plant a garden? Of course not, but it sure is fun. I even tossed out the tags that went along with each plant - sure, I could have kept them in case by some miracle the plant did well, and I'd know what to do next year. But that seems to go against the spirit of T&E gardening. So, the plants are in, and today it looks good. Wish us luck! Incidentally, our rose bush is still doing well. It's got a few new buds, and is greening up nicely. Here's a macro shot of one of the roses - pretty, no? Whenever I visit my Sister and Brother-in-Law, I always marvel at how organized their Kosher kitchen is. They've got stickers reminding folks where the dairy dishes and meat dishes live. I've tried to get that organized -- specifically, I've tried marking the random kitchen items we've accumulated over the years as either milk or meat. I've used various markers and other approaches (including duct tape, of course) - but really haven't had much luck. 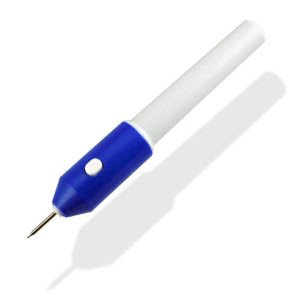 I think I've finally found a winning solution: the Diamond Tip Engraver Pen. This title makes this device out to be a lot fancier than it is. It's basically a small battery powered motor connected to a tip that vibrates. I guess the tip has a tiny nugget of diamond in it, which does the scraping. On Amazon, the the pen gets mixed reviews -- but I for one like it. I'm able to mark up everything from frying pans to tupperware with zero effort. It's true that it's hard to make accurate and precision engraving -- but for a quick M (for milk or F (for fleishig - aka meat) it works great. Yeah, I'd have the jeweler engrave your wedding rings, don't attempt to use this device to do so. But for $6.00 (including shipping), this is a really handy device and one that every home should have in it. Even if you don't need to mark up your dishes, I'm sure you'll find a need for it.